These two images are what I think are Callianopsis clallamensis shrimp fossil claws. They might also be referred to as ghost or mud shrimp. Fossils are from the Washington state area and could be from either the Lincoln Creek or Pysht formations. 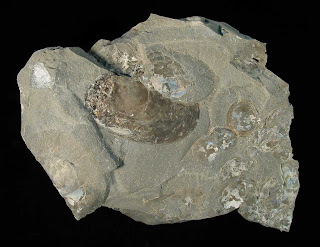 The date of the fossils is to the Oligocene epoch of the Paleogene Period. 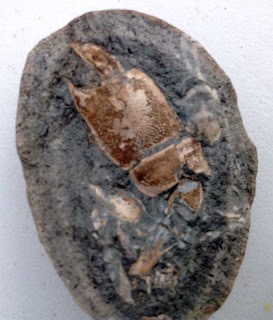 The fossils were acquired by my cousin in a trade of fossils from the Louisville Kentucky area on a recent visit to the area. 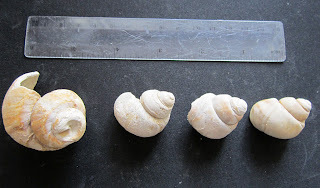 Thanks to Teri for the pictures. 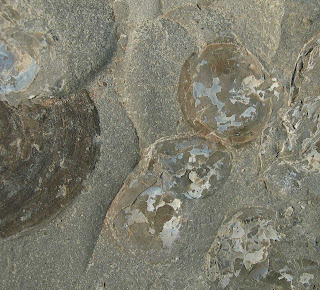 Pictured are several Silurian Waldron Shale fossils. 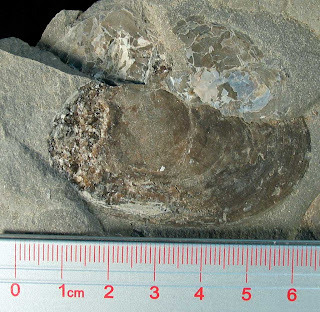 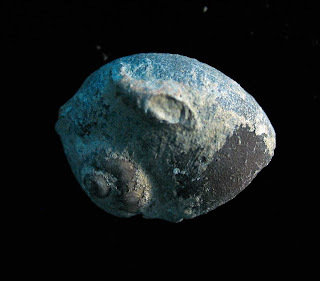 It appears to be the fossilized habitat of a Cornulites proprius attached to the gastropod Platyostoma niagarense. This ensemble was found in Clark County, Indiana. 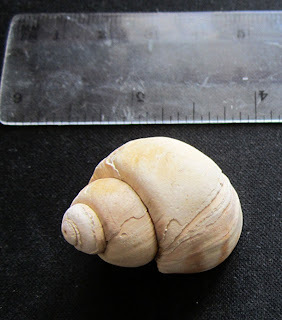 While snail/worm fossil combos are found quite a bit in the Shelby County, Indiana, my experience is they are not quite as common in the more southern county of Clark in Indiana. 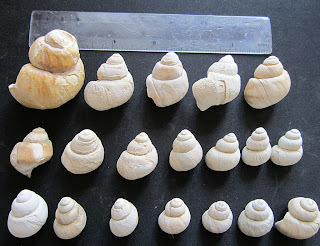 Fossils have not been prepped yet so I am hoping for better detail once they are cleaned. 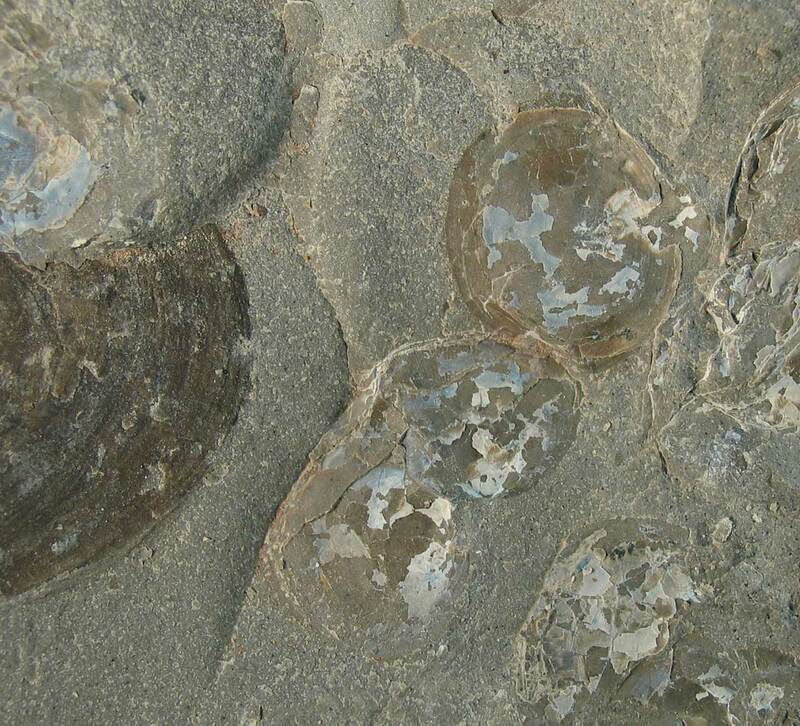 All these fossils were found in the Waldron Shale of Clark County, Indiana. All contain pyrite or marcasite minerals. 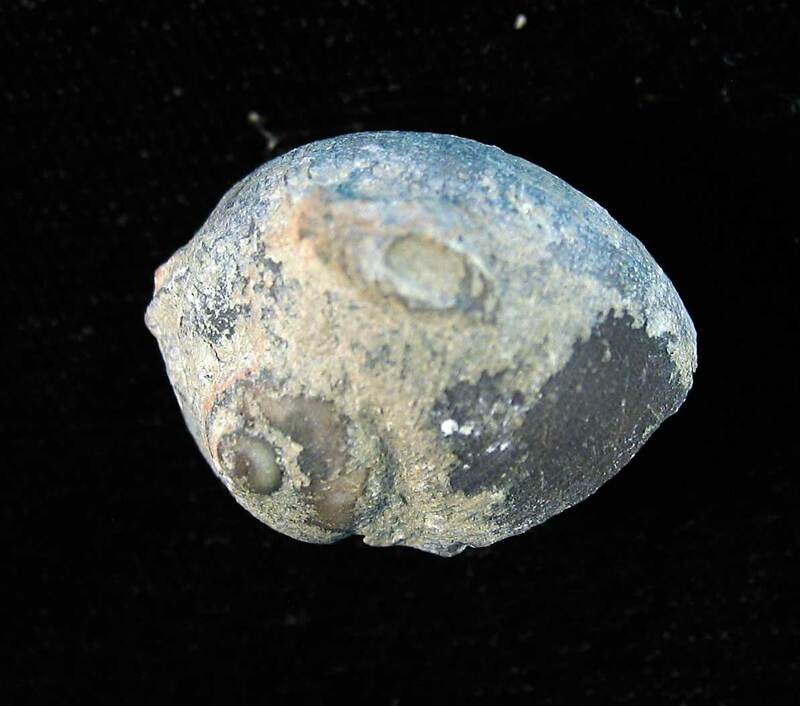 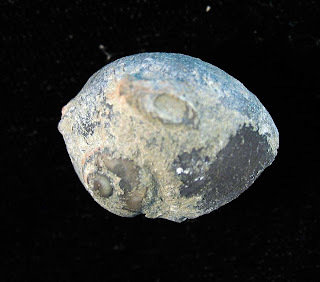 These first two pictures show the iron sulfide clusters embedded in a Silurian Period brachiopod Homoespirifer evax. 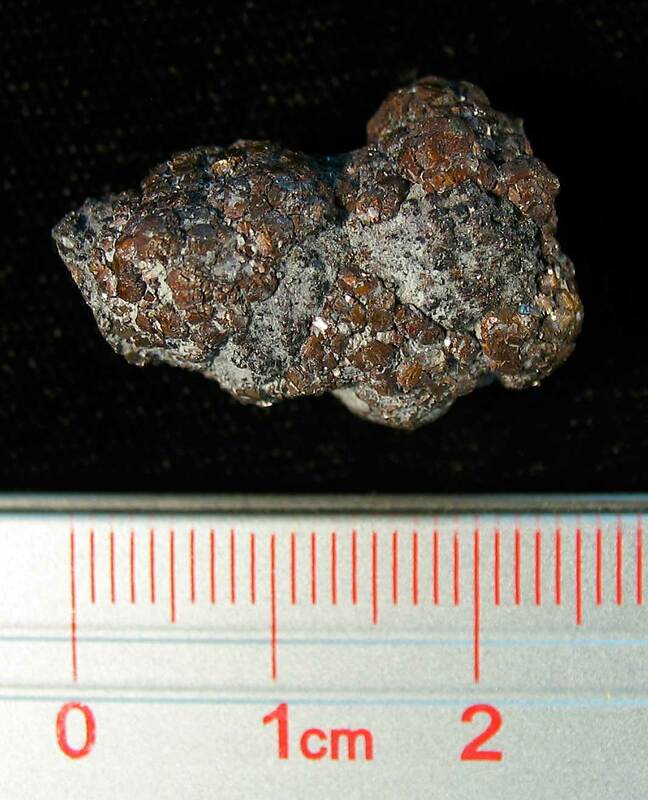 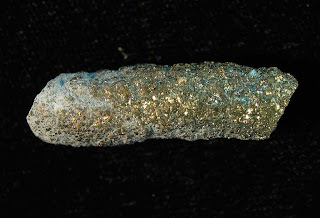 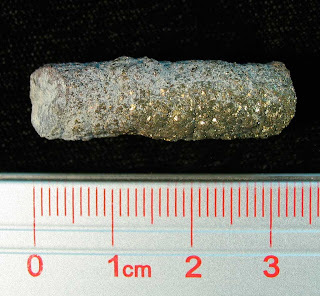 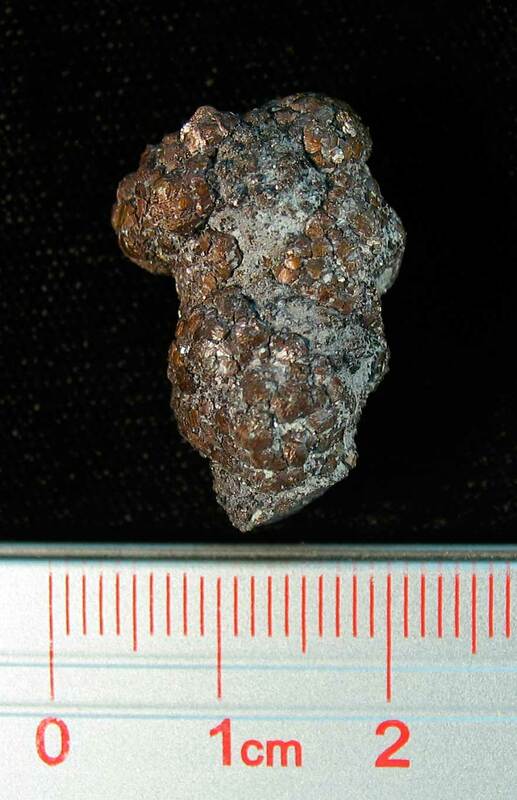 The next two pictures show a segment of byrozoan encrusted with pyrite. 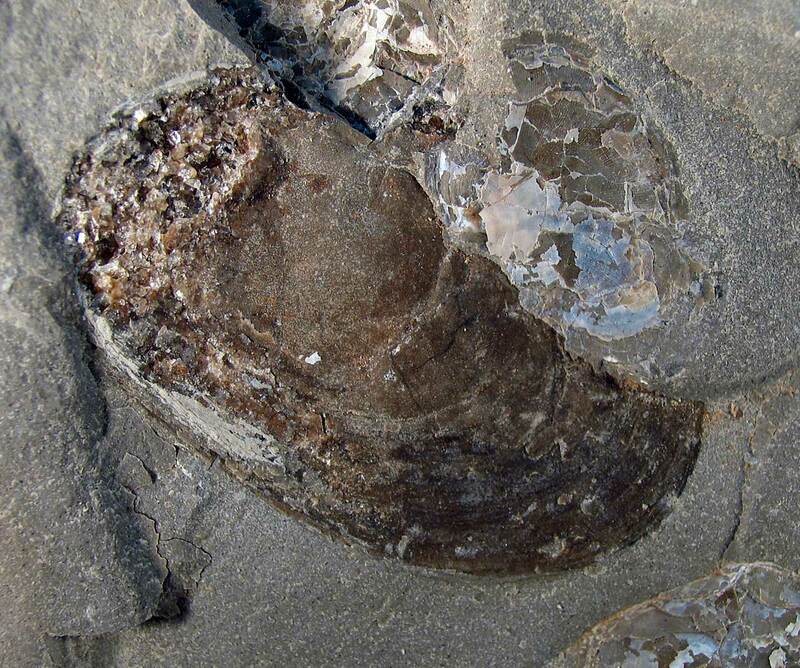 The last two pictures do not this fossil pairing justice. It is a crinoid stem that has another crinoid holdfast wrapped around the stem. 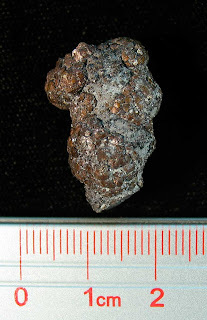 Both are encrusted with pyrite or marcasite. 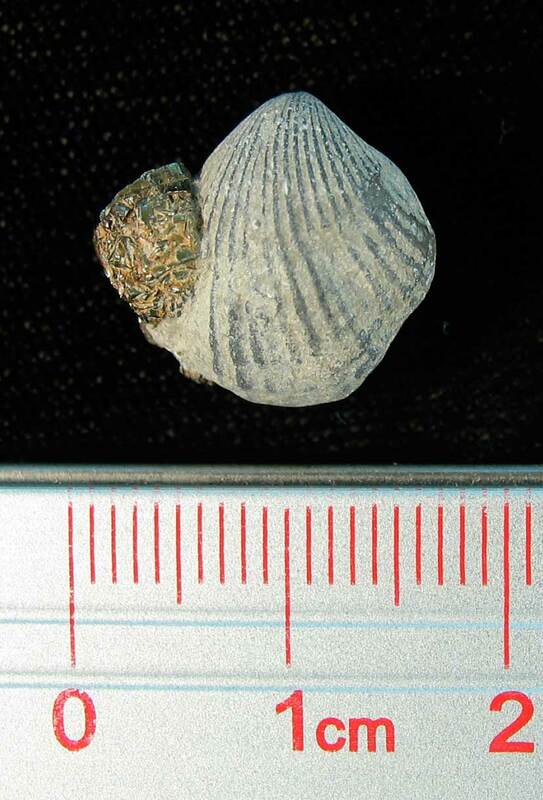 A nice photo of one these crinoid ensembles at the Falls of the Ohio State Park web site: CLICK HERE. 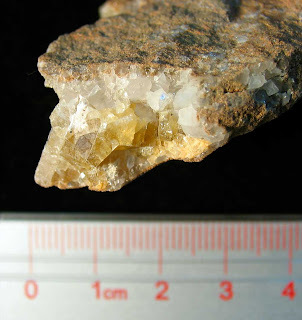 I make no claims as to being a mineral expert but I believe these specimens are fluorite mixed with calcite or some other mineral (dolomite?). 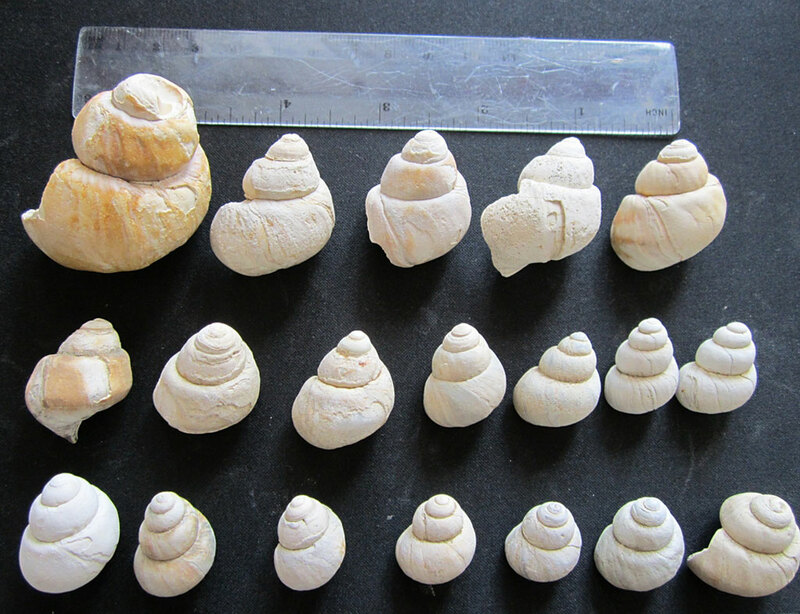 They were found with Cyclonema sp. 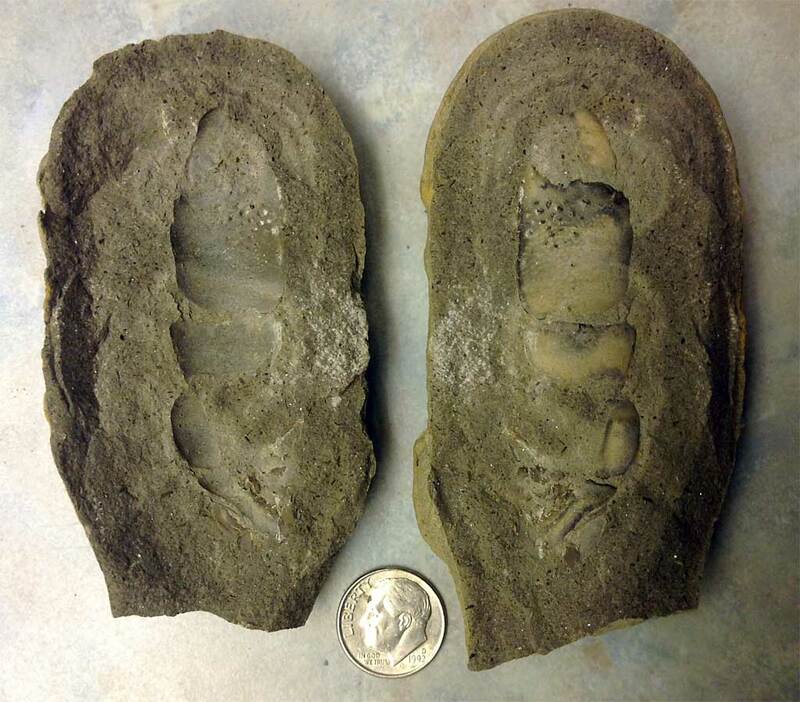 snail fossils in Franklin County, Kentucky. 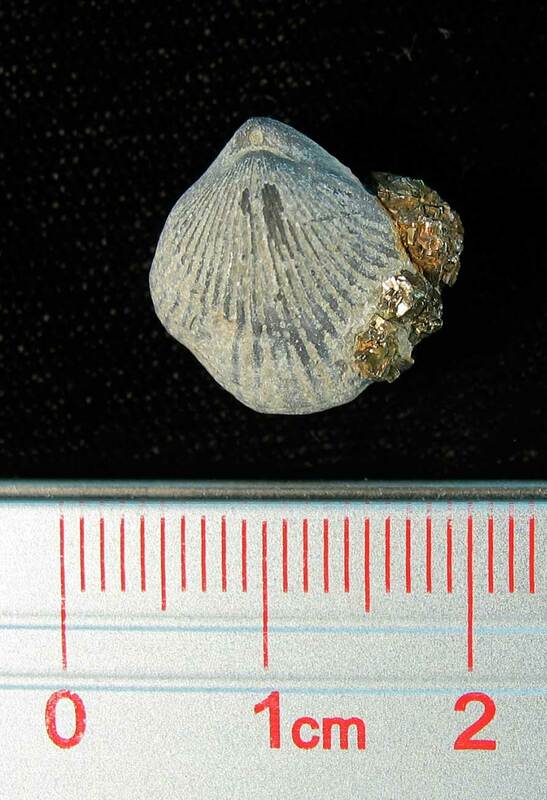 The layer should be the Lexington Limestone of the Ordovician Period. 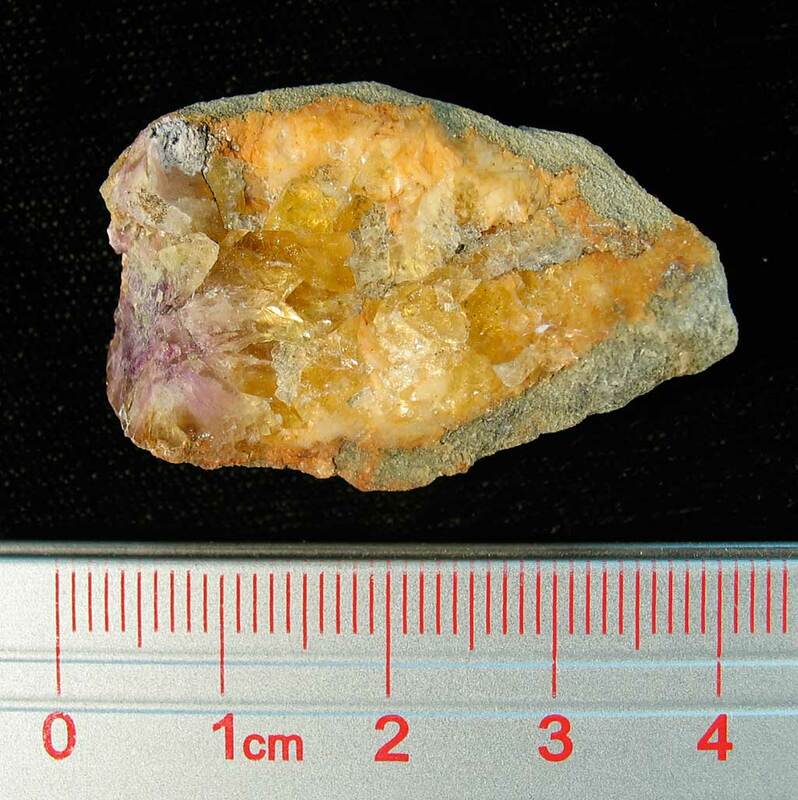 The majority of the fluorite is yellow but one has a small section of purple. I find it unique as typically think of the fluorite areas of the state of Kentucky to the western part near southern Illinois. Mindat.org lists fluorite, calcite, and dolomite as all being found in Franklin County, Kentucky. At first glance, this fossil looks like a coiled up millipede or some sort of worm. 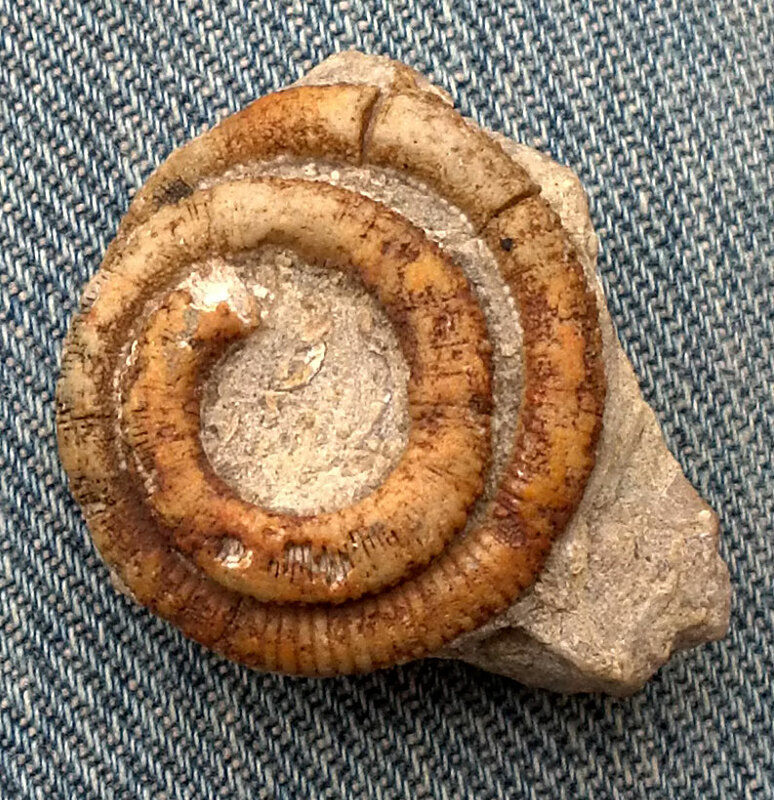 This coiled crinoid holdfast was probably used by the creature to anchor itself on the seafloor so it would not float away. It was found near railroad tracks in Indianapolis, Indiana. 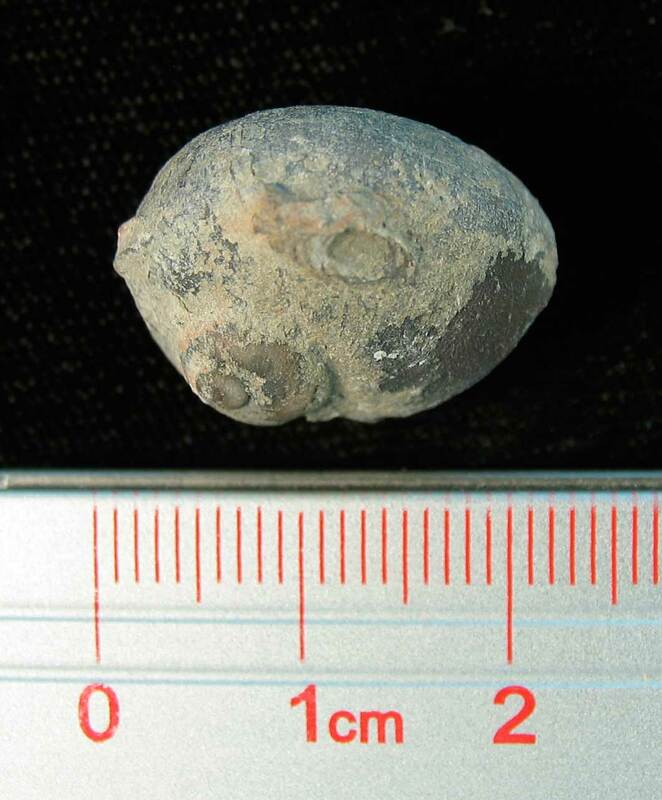 If I had to guess, it is probably from the Mississippian Period. Thanks to Daniel for sharing this picture.